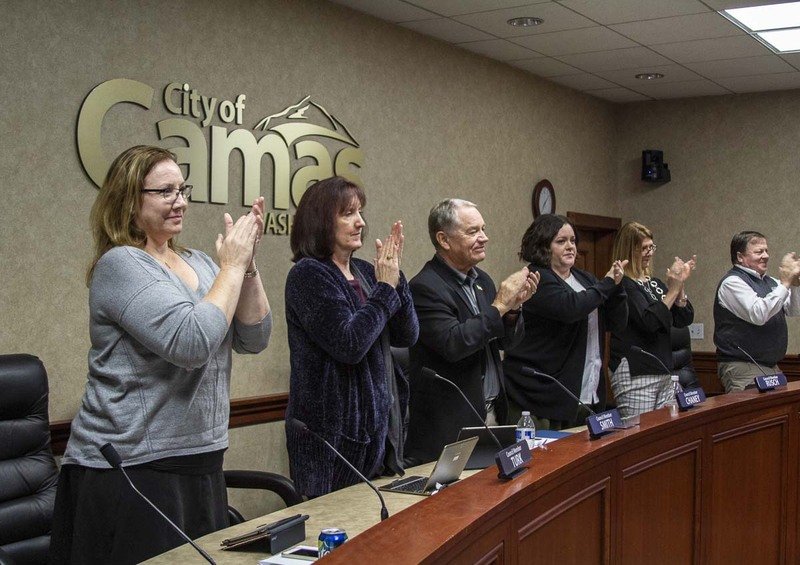 CAMAS — Eight people who aided in the rescue of survivors after a fatal boat crash in Camas on Sept. 2 were honored at Monday’s Camas City Council meeting. 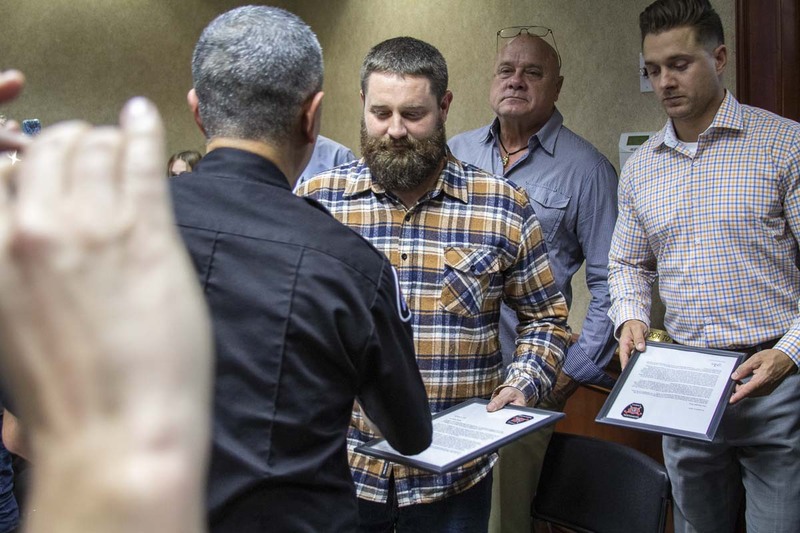 Camas Fire Chief Nick Swinhart and members of the Camas Fire Department presented the recipients with with certificates in front of the Camas City Council. 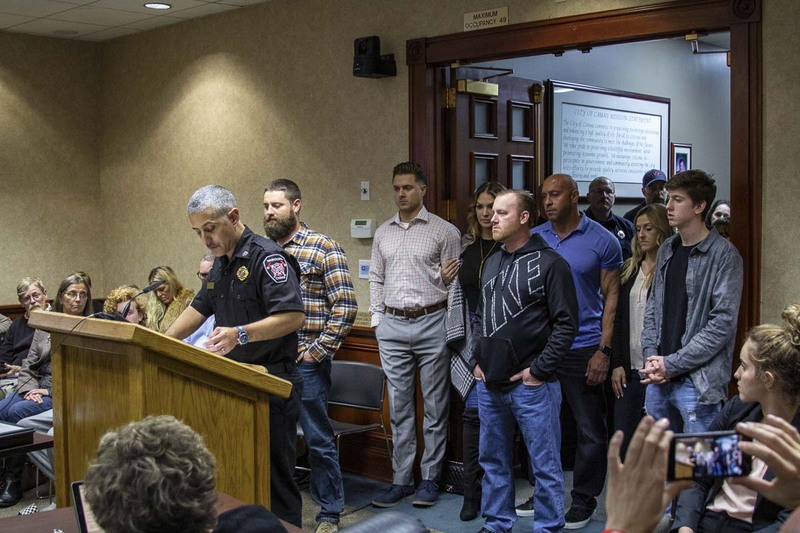 Chief Swinhart first gave a short speech, expressing his gratitude for how efficiently the bystanders helped his firefighters the day of the crash. On Sept. 2, two boats collided head on in the Camas slough, beneath the SR-14 bridge. Two men and one woman were involved in the crash, and all received first aid and assistance from the bystanders who rushed to help. The two men were stabilized and transported to the hospital when firefighters arrived. The woman died at the scene. Liz Downie followed Marshall into the water that day as well. 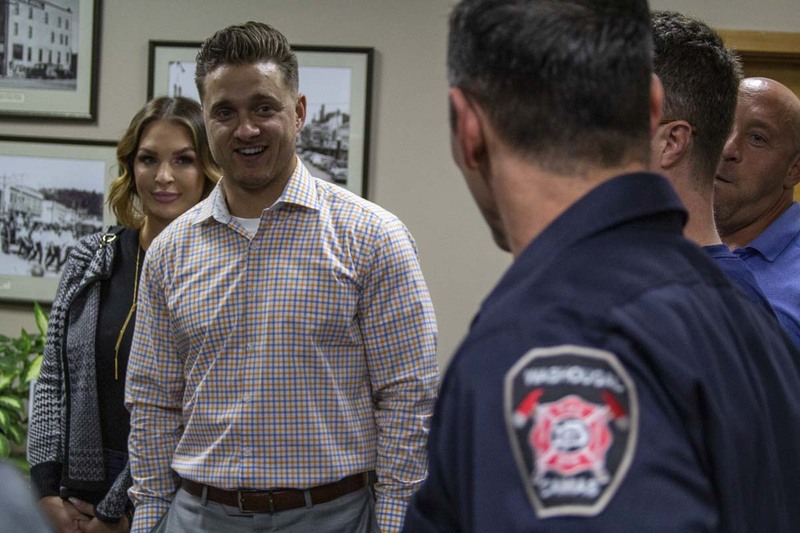 Greg Payne is a firefighter with the Camas Fire Department. 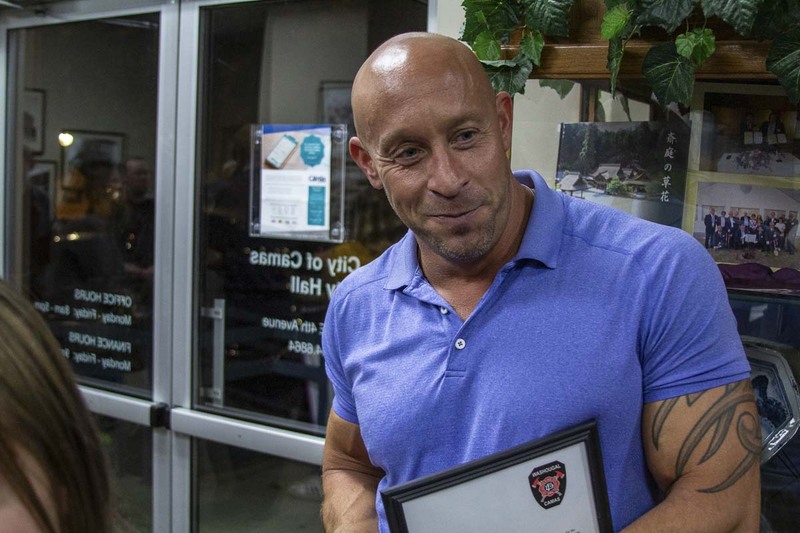 He was there the day of the boating accident, and recalls the actions of the bystanders and his crews as very effective given the circumstances.